We all love something for nothing, right? And that’s especially true of schools and teachers. Given the choice between paying for something and getting it free, free wins pretty much every time. 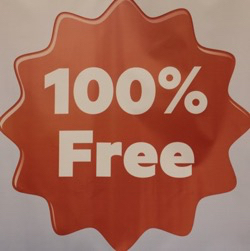 In blog posts and tweets, at conferences and EdCamps, during webinars and videos, when you hear someone recommending a website or app, more often than not the presenter will prominently add that the product is free (or free for teachers). That graphic at the left is a label from the side of a large booth on the ISTE vendor floor. The problem, however, is that nothing is ever free. Although relatively cheap, server space and bandwidth still cost something. Designers, coders, and engineers expect to be paid. And don’t think all those sales people working on that ISTE expo floor1The ISTE boat show, according to Gary Stager. are donating their time. In the world of digital products, there are only a few ways companies can provide their products for free, and in the long run, none of them are particularly good for kids and teachers (much less anyone else). For the seemingly endless parade of startups, edtech and otherwise, free software or services are made possible through “backers”, investors who expect a big payoff somewhere down the line. Which means, at some point their products will no longer be free, usually switching to some kind of payment model. Or they disappear altogether. Some, like Khan Academy, are funded by grants from foundations or companies. Unless they can shift to some kind of business model, the money will eventually run out, usually when the charitable focus of the organzation changes. Anyone remember ThinkQuest? More common in the edtech world is the “freemium” business model. 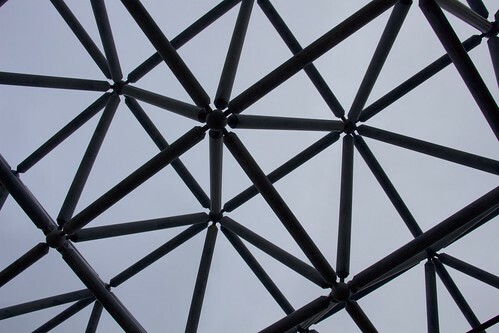 These companies offer users the basic functionality of their software or web services at no charge, supported by others who elect to pay for a version of the product with more features. In-app purchases on mobile devices is a popular application of this model but certainly not the only one. Then there are the many software or services supported by advertising. You don’t have to pay a dime to use Facebook or Twitter, for example, but the businesses who stick ads into your timeline/stream certainly do.2Making the past quarter very profitable indeed for Facebook; not so much for Twitter. But there is still a cost for these kinds of free services, paid in terms of wasted time and annoyances. Finally, there are companies that support their free products by collecting data on users and selling it. Google is exhibit number one in this category, but marketing data is also a large part of the income for companies presenting you with advertising. Google, of course, also sells ads based on the data you provide, even more successfully than Facebook. In the edtech marketplace, Google and other companies are not allowed to insert ads in the products they provide for schools and, for that reason,many educators are under the impression that they are actually “free”. But that doesn’t mean Google doesn’t still collects huge amounts of data on the millions of students using Apps for Education, connecting that to other Google products not specifically tied to education, like search, that are often being used concurrently. Ok, I’m not saying you shouldn’t be using free products. I sign up for pretty much every interesting new idea the web comes up with, and have downloaded way too many apps over the years. I accept the trade-offs that come with spending way too much time on Twitter, and the risk that comes from Flickr being owned by Yahoo. However, if you rely on a particular piece of software or service, take a close look at the business model. Be very aware of what you and your students are actually paying (usually in terms of your personal information) when someone offers free stuff. And understand, that even paying with real money doesn’t guarantee the reliability – or longevity – of any company. Whatever the motive for arriving at the school door with a shovel and pan, very few of these edtech products are concerned about actual learning and kids. Scan through the huge collection of vendors from the ISTE boatshow3Thanks, Gary. That phrase is stuck in my head. :-) floor and Edsurge’s summit and it becomes obvious that most of this crap is edtech fool’s gold. And we are the fools for buying it.